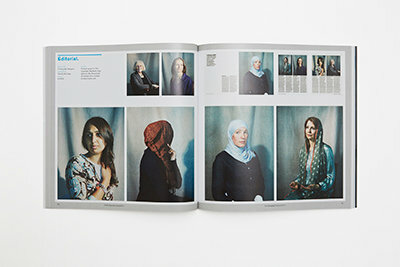 The ‘209 Women’ book is now available via Kickstarter. The book contains all of the portraits of the female members of parliament originally shown in the exhibition to celebrate 100 years of women’s suffrage, and features work by British female photographers, including Hannah Starkey, Jane Hilton, Kate Peters and myself. ‘209 Women’, the project celebrating women in politics and women in photography, which includes my portrait of the Shadow Secretary of State for Business, Rebecca Long-Bailey, is now on show at Open Eye Gallery in Liverpool. Click on the image below to go to Open Eye’s website for more information. 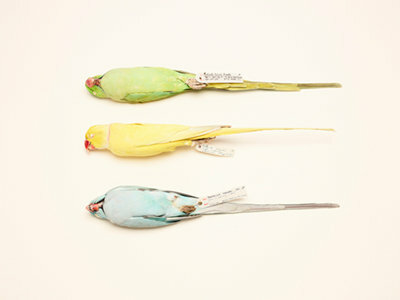 “Psittacula krameri (three rose-ringed parakeets)” from my Colour and Vision series which was made with the Natural History Museum in London, is now available to buy as part of a small limited edition series to mark 20 years of Bow Arts and the artists and programmes that it has supported during it’s time. This print, plus the other artworks in the project are available to buy now at the Nunnery Gallery in Bow, with all proceeds going towards cultural and educational projects in the area. I’m very proud to have been asked to take part in 209 Women, an exhibition of portraits of the current 209 female Members of Parliament, taken by female photographers to mark 100 years since (some) women were given the chance to vote in the UK. The work will be exhibited in the Houses of Parliament from December 2018 and then will travel to Liverpool’s Open Eye Gallery next year. Click here to read the British Journal of Photography’s article on the project. Work from my Archive Project series will be on show this month at the 5th Barcelona Foto Biennale as part of the Julia Margaret Cameraon Awards exhibition, where the series won the Still Life category. To see the rest of the project click on the image below. I’m very proud to be named as Winner of the abstract and still life section of the 11th Julia Margaret Cameron Award for my Archive Project. 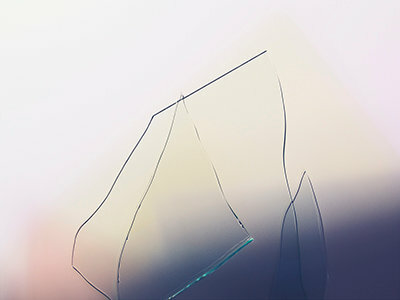 The project, along with the other winners’ work will be exhibited this October at the 5th Biennial of Fine Art & Documentary Photography to be held in Barcelona. 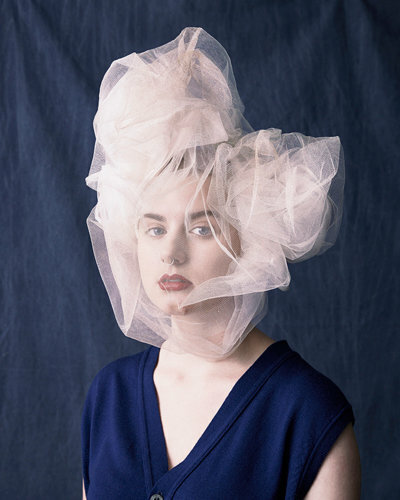 Art on a Postcard are back with another photography themed secret auction, which is currently being exhibited at Photo London, Somerset House (17th – 20th May). All works are shown anonymously until after the auction has closed, but head over to their website (or to Somerset House) to see if you can guess the artists (clue: I’m one of them!). Art on a Postcard is a fundraiser for The Hepatitis C Trust and has included names such as Sir Peter Blake, Damian Hirst and and Grayson Perry in it’s previous auctions. 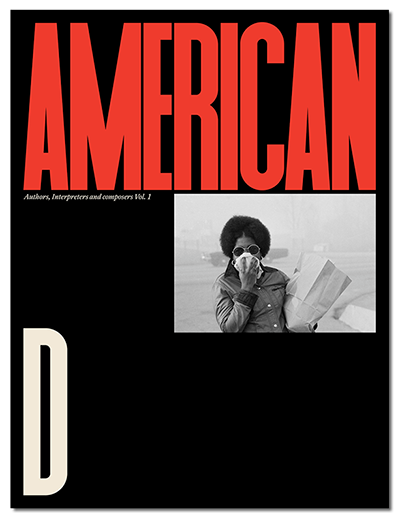 Have a read of Gem Fletcher’s review of the American ABCD books recently released by Paripé Books which feature some images from my Archive Project, over on Creative Review (click on the image below). Some of the images from my series Two-Spirit are currently being shown at Getty Images Gallery, on Eastcastle Street, London as part of their current show, “Subject, Object, Creator: The Female Gaze”, which presents a selection of seventy photographs made by female identifying photographers. 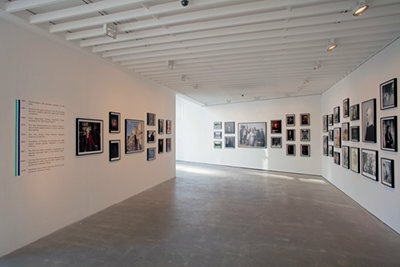 The exhibition will run from February 5th until March 14th at 46 Eastcastle Street, London, W1W 8DX. Admission is free. Part of my Archive Project has just been published by Paripé Books as part of a their American ABCD series – a four volume publication which features work from 200 artists, photographers and writers who have reinterpreted a selection of news photographs originally made in the United States during the 1950s and 1960s. 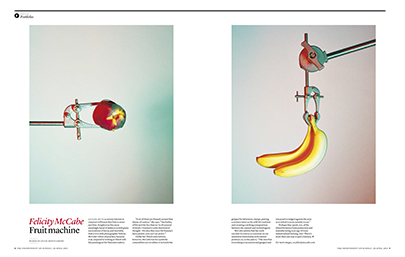 Click on the image below to read Aesthetica Magazine’s review of my Archive Project which is currently on show until the end of the year at The Great Eastern Wall Gallery in east London. This ongoing series of work can be viewed here at The Archive Project. One of my prints will be available as part of the Art on a Postcard Photography event which is currently on show at the Print Space in Shoreditch, London alongside prints from Wolfgang Tillmans, Martin Parr and Simon Norfolk. Tickets are £50 which will guarantee you a print, although you won’t know which print is yours until the tickets are randomly selected at the end of October. Art on a Postcard runs events throughout the year raising money for The Hepatitis C Trust and has featured work from artists such as Sir Peter Blake, Damien Hirst and Gavin Turk over the years. Launching on September 14th, my latest project “Archive” will be exhibited at The Great Eastern Wall Gallery in Shoreditch, London. The exhibition is outdoors and free to all and will be on show until late December 2017. I’m pleased to announce that my “Colour & Vision” series, made at the Natural History Museum in 2016, has been shortlisted for the Sony World Photography Awards. I’m one of just 18 British photographers shortlisted for the professional awards, chosen from over 110,000 entries from 183 countries. 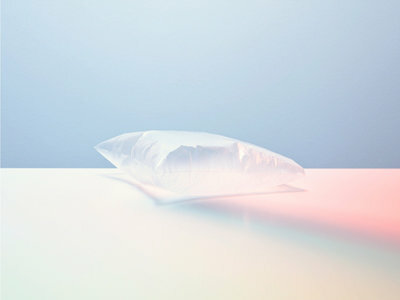 The winners will be announced on April 20, and the work will be exhibited with the other shortlisted and winning images at Somerset House, London alongside the work of esteemed photographer Martin Parr, April 21 – May 7, 2017. I’ve been invited to talk about my work at Unveil’d Forum which is taking place on 22 October, 2016 at Exeter Phoenix as part of the Unveil’d 2016 program of events. Other speakers on the day include Jack Latham and Maurice van Es. Click on the image below to read more about the event. A print from my series made in Somaliland is currently on show at The Nunnery Gallery in Bow, East London as part of a group show curated by Anj Smith. 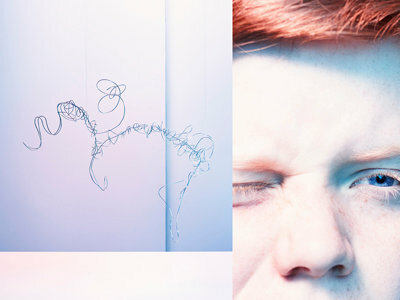 Works on show range from paintings, collage and photography to interactive sculpture and performance. 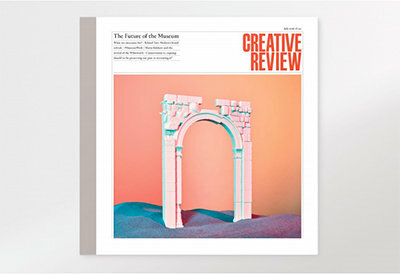 This month’s issue of Creative Review features a cover shot by myself with Art Direction from Gemma Fletcher. The image shows a 3D printed model of the now destroyed Palmyra Arch. 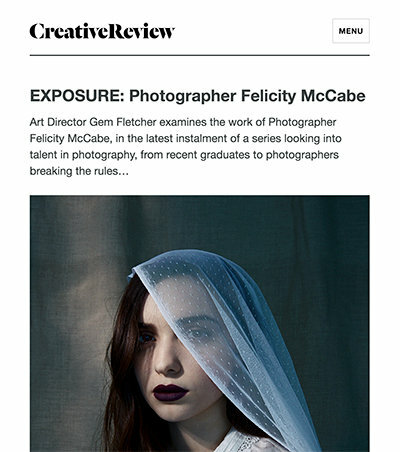 I recently chatted to Gem Fletcher for Creative Review about my work. Click on the image below to read the article. I’m excited to have been invited to talk about my work at one of Miniclick’s Soapbox events, to be held on the 12th April in East London. Other photographer’s taking part include Laura Hynd and Tom Johnson. Click here for more information. Our series Two Spirit, which considers the idea of gender, has picked up the Platinum Award from Graphis, as part of their 2016 Photography Annual. Click on the image to see the rest of the series. During November, I got the chance to make a project in Somaliland in collaboration with Save the Children as part of the action/2015 coalition. The project is a creative response to the issues faced in the region as a result of climate change. To view the project page on this website click here. My Two-Spirit series has been awarded an Honourable Mention at this year’s International Photography Awards. I am pleased to announce that I will now be represented by Wren Artists for commercial commissions in both still photography and moving image. 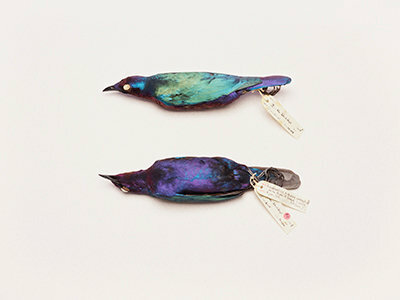 Wren Artists-HD from Felicity McCabe on Vimeo. 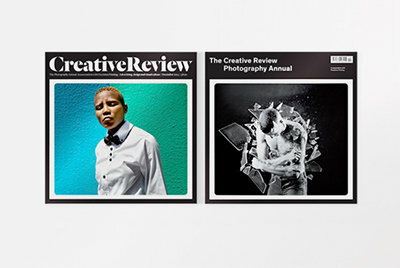 This month Creative Review has selected my series on women who have converted to Islam for their 2014 Photography Annual. 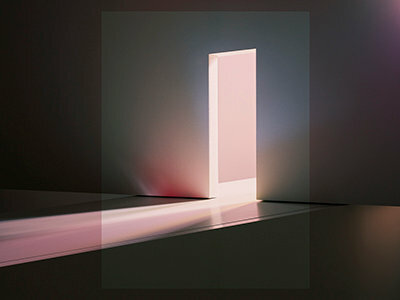 I’m really excited to share the pages of the annual with a great list of respected, contemporary photographers. 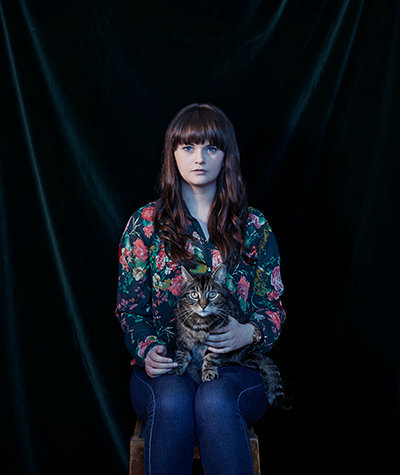 I’m honoured to be included in D&AD’s list of young photographers to watch. Thank you Choi Liu for the support! Finalists from this year’s Onward Compé are about to be shown in a group exhibition at Project Basho in Philadelphia, USA. Starting on March 1st and running ‘til April 27th, the show includes work by myself and was curated by this year’s guest juror Andrew Moore. This is part of the Onward Summit ‘14 festival program. For more info click on the image below. 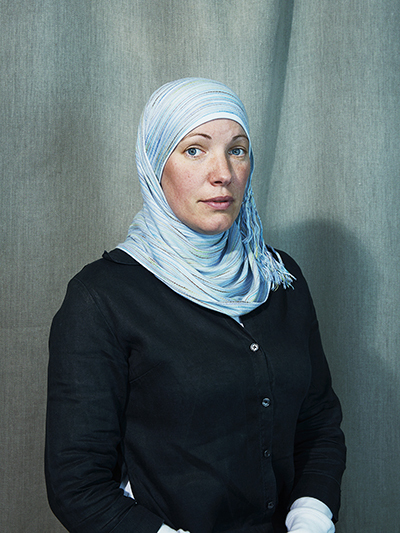 Portraits from my series showing women who have converted to Islam (originally commissioned by The Guardian Weekend) have got me through to the last round of consideration for ONWARD Compé ‘14. The two selected winners will share a two-person show at Project Basho Gallery in Philadelphia. To find out more about ONWARD Compé ‘14 click on the portrait below. Excited to hear that my series “The Arrow” has been selected as one of the finalists in the Renaissance Photography Prize 2013. As well as being a great competition, the Renaissance Photography Prize also helps to raise money on behalf of the Lavender Trust which supports younger women with breast cancer. 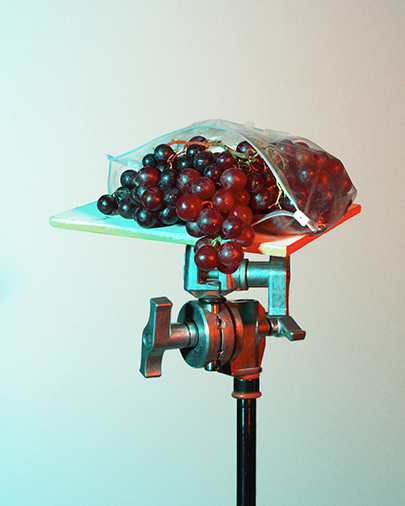 All the finalist images will be exhibited at the Wapping Project Bankside from 3rd – 7th September 2013. To see the judges selection click on the image below. 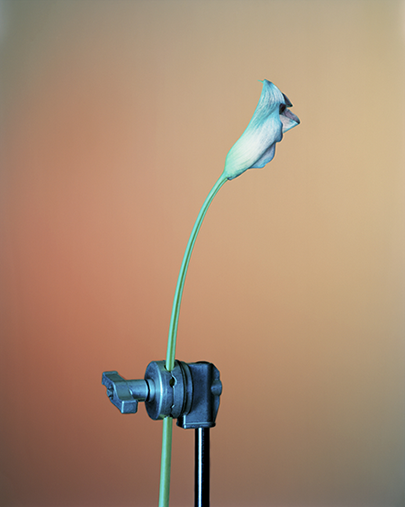 Some of my Flora series have been featured in The Independent’s New Review with words from Hugh Montgomery. Click on the image to view the digital edition.